The art of shadow puppetry in Cambodia started from very beginning of the Angkorian Era, which maybe brought by the earlier visitors from several region in South East Asia such as Indonesia. 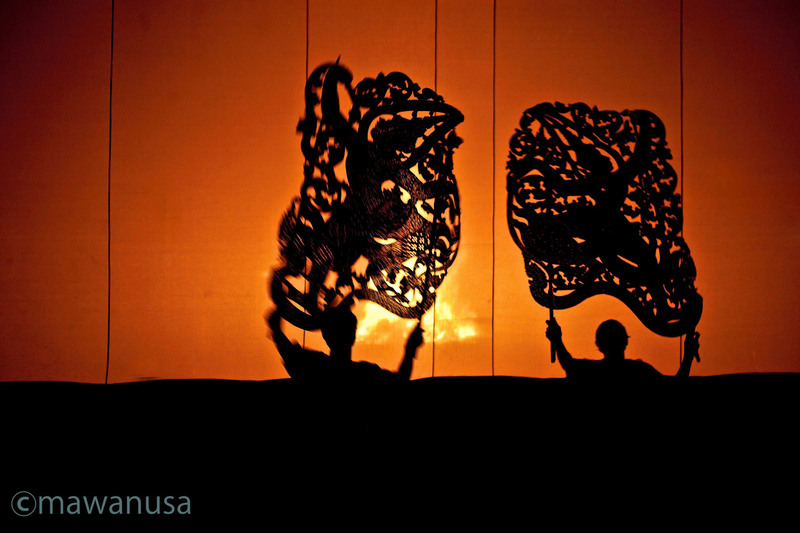 The puppet shadow theatre utilizes puppet made of leather, which called ‘Sbaek’ in Khmer language. The artist created the puppets based on the story of the group who will play the puppets. Mostly based on the either Ramayana or Mahabaratha. Each of the puppets is an art piece with fashion and style created by the craftsman. The leather used for the puppetry usually have been treated, naturally dyed, designed and carefully hand-carved to highest quality of masterpiece. 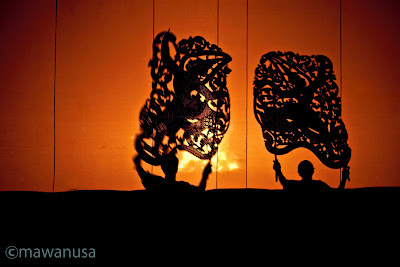 In Cambodia, the shadow puppet plays to perform an important role in the culture and religious identity. This is also as a media to communicate or amongst the peoples and the religious leaders and or community in where the puppet plays. A small ceremony dedicated to the principle divinities is offered on the beginning of the show or before the performance begin. The shadow puppetry is sacred, mysterious and still alive until today, this is capturing thousand of years back of imagination of the community, religion believes and way on how the story telling line can be survive and can influence peoples in this modern days. There are three form of shadow puppetry found here: Sbaek Thom/ Nang Sbaek (large puppet), Sbaek Por (medium puppet), Sbaek Doit (small puppet). The size of this puppet is about 170-200 centimeters tall and 100-120 centimeters wide with individual handle to be use by the performers to carry and plays these giant puppets. With large bonne fire created by burning wood or coconut shell, give a nice clear silhouette on the white screen or the performance also play in front of the audience with one person as announces or story teller on what happening. The complete set of this puppet is about 160 beautifully carved puppets. The size of this puppet is in between the large puppet and the small puppet. The part of the puppet can be moving like the small puppet. Uniquely this puppet is painted in very colorful manner, and this puppet played during the daytime. This is maybe the purpose, that why this kind of puppet painted in very colorful manner, to show the real art of the puppetry. The size of this puppet rather very small compare to the sbaek thom. The design is also more alive which some part of the body can moved, moving hands, feet, jaws etc. The screen is also smaller about 4 meters by 2 meters. The story that tell in this performance is more to folklore than religious, with some humor in between which make this puppet more accessible to the wider audiences. During your time in Cambodia or in Siem Reap, you may enjoy this performance in few restaurants that include puppet shadow show during dinner especially for the large puppet and small puppets show. The medium puppet hardy we see in the night show.